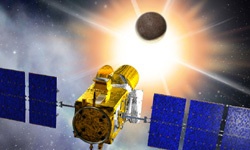 Thanks to CNES’s CoRoT space telescope, which recently completed its 2nd year of observations, 5 exoplanets have already been identified and scientists are learning more every day about the inner structure of stars. 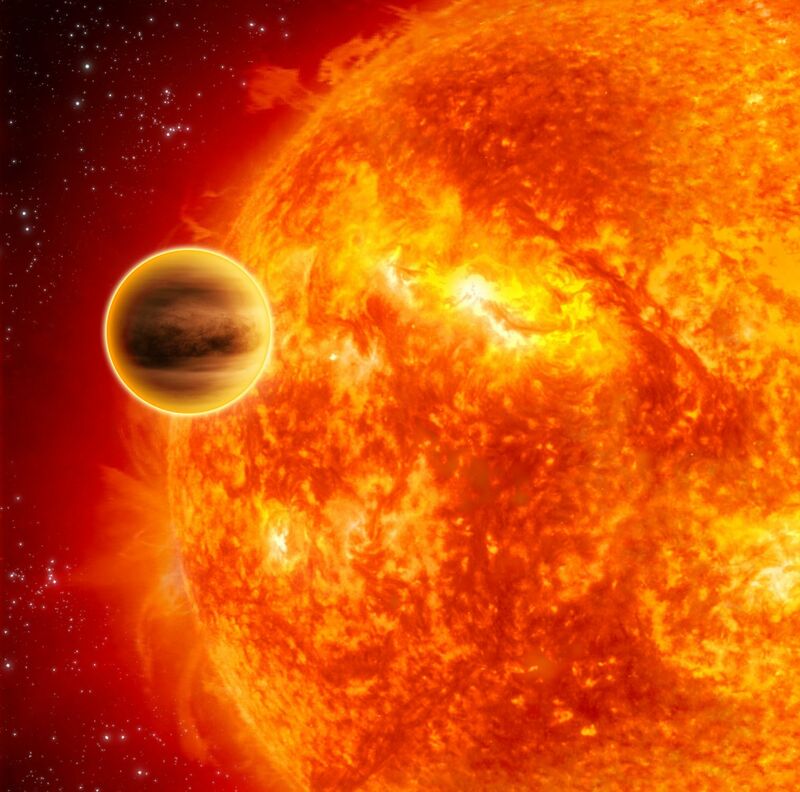 Next up: the discovery of an Earth-like planet might not be far away. 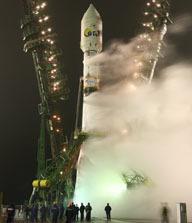 CoRoT was launched from the Baikonur Cosmodrome on 27 December 2006. Credits: CNES/AAS/Starsem 2006. 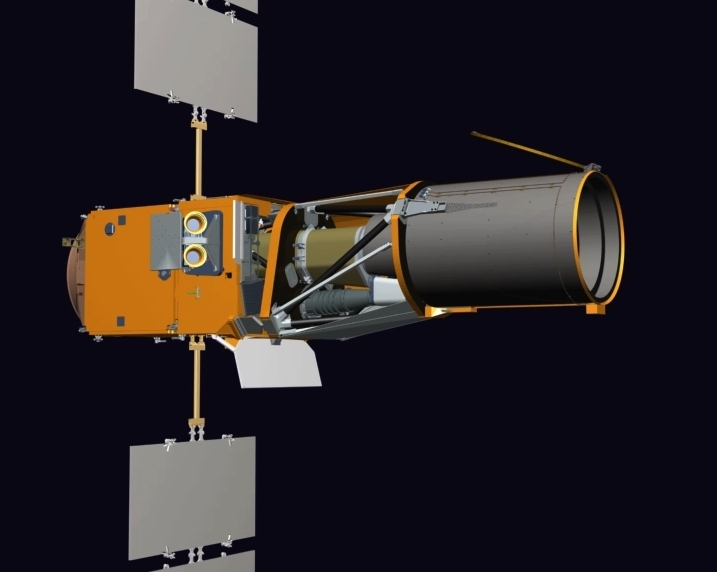 Unlike its illustrious cousin Hubble, CNES’s space telescope doesn’t acquire images of stars. CoRoT’s mission is to record any variations in brightness of the celestial objects it is pointed at. These may be stars, but also and above all exoplanets outside our solar system. “CoRoT can observe 12,000 stars at the same time and measure variations in their brightness very precisely,” explains Annie Baglin, an astrophysicist at the Paris Observatory. CoRoT’s list of discoveries already includes 5 confirmed Jupiter-like exoplanets. Among these are CoRoT-Exo-3b and CoRoT-Exo-4b, 2 very exotic objects. The 1st is a particularly massive object somewhere between a star and a planet, while the 2nd orbits its star in around 9 days, a relatively long orbital period for an exoplanet. The CoRoT instrument comprises a telescope, camera, equipment bay and flight software. Credits: Thales Alenia Space/JL. Bazile 2006. “CoRoT is fully satisfying the scientific community,” says Christophe Donny, spacecraft engineer for the CoRoT instrument at CNES. But what many astronomers are now awaiting is the discovery of the 1st Earth-like exoplanet. The planet, HD 189733b, lies 63 light-years away in the constellation Vulpecula. Credits : ESA/Ill. C.Carreau. “CoRoT is currently detecting large Jupiter-like planets, but it was designed above all to observe objects much smaller than Uranus, even with a radius only 2 or 3 times larger than Earth’s,” says Pierre Barge, an astrophysicist at the Marseille Observatory. CoRoT is now into its 3rd year of observations. Credits: CNES/Ill. D. Ducros. Space telescopes offer the capability to observe the same star for months at a time and record a wealth of data about its behaviour. This can only be achieved from space, because Earth’s rotation makes it impossible to point a ground telescope at a star for a long period.Moreover, space telescopes are free fromEarth’s thick obscuring atmosphere. As CoRoT starts its 3rd year of observations, the venerable Hubble Space Telescope is being prepared for one last Space Shuttle mission to upgrade it in May.